On each New Moon of the month we chant the Gate of Sweet Nectar liturgy, calling out to all those who are feeling lost and left behind. We commit to bring our whole selves to all who are suffering in our world, including to those parts of ourselves that we think of as insufficient and lacking. 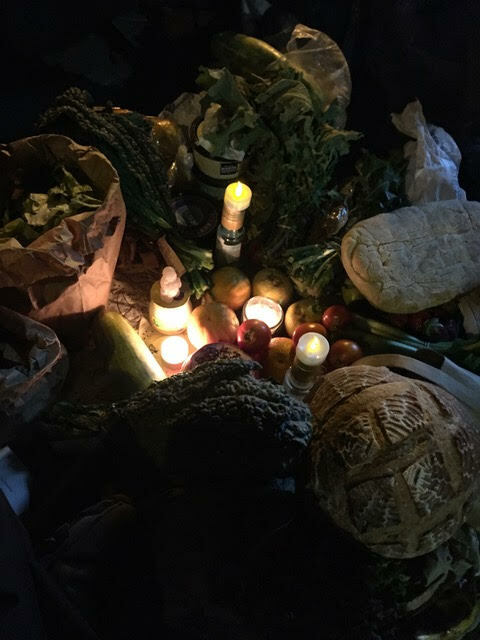 We call this “feeding the the hungry ghosts.” In this ancient ceremony, modernized for our times, we offer them the awakened mind of love, wisdom, and transformation. All the lost and left behind. Your joy and sorry, I make mine.